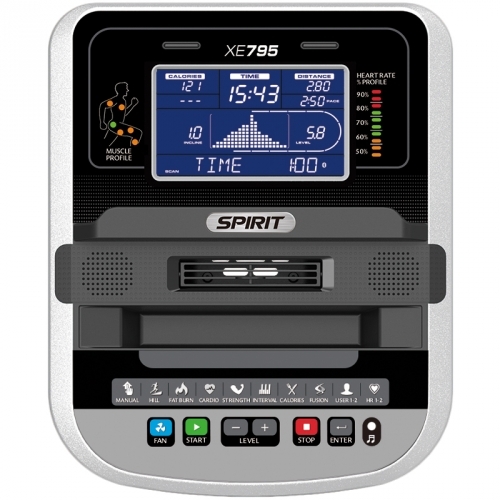 The Spirit Elliptical Trainer XE795 was designed with Comfort, Durability and Value in mind. 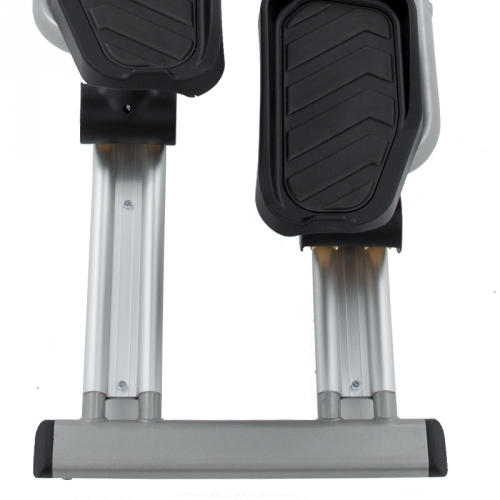 The natural 20” stride length and narrow 2” pedal spacing ensure an ideal stride motion, while the oversized/cushioned foot pedals, and cushioned ergonomic hand grips ensure comfort at the touch points. 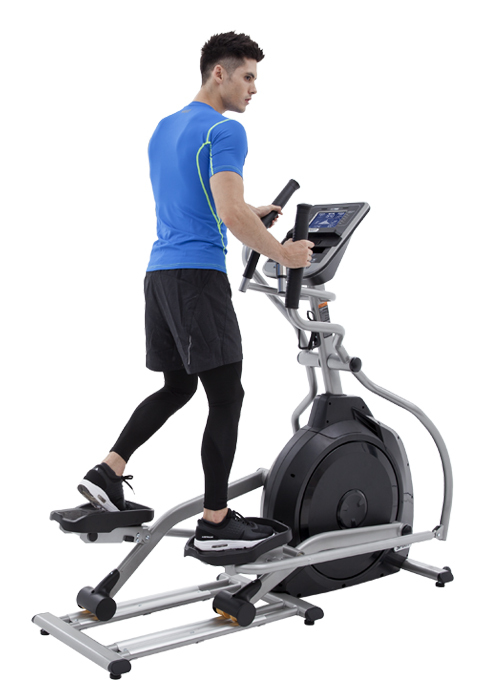 The Spirit Elliptical Trainer XE795 is self-powered, meaning no cords to worry about. You can place this product anywhere. The large sealed roller bearings used with the pedal arms and handlebars, along with the dual roller wheels and aluminum tracks, assure a smooth and reliable workout. The frame has been constructed as one solid welded piece from front to back for added stability and durability, while minimizing noise. 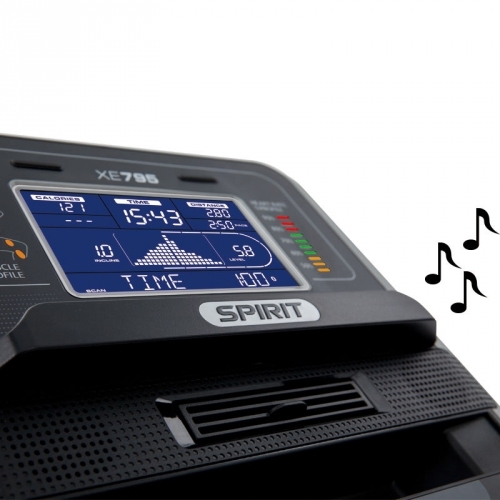 The Spirit Elliptical Trainer XE795 user interface is key to a great experience. From the soft ergonomically contoured handlebars, to the one touch program keys, to the conveniently located accessory tray, Spirit Fitness focused on making everything comfortable and easy to use. Additional features include integrated speakers for your MP3 player, allowing you to listen to music without the need for headphones, and a body cooling fan that swivels to direct the breeze where you want it for a long and comfortable workout. The Spirit Elliptical Trainer XE795 large console includes a bright blue back-lit display for easy-to-read workout date. The display also features a workout profile, lap track, and scrolling message center to keep you informed. The console even features a heart rate % profile bar to keep you efficiently working out in your target training zone, and the muscle activation figure which lets you know which muscle groups are minimally and maximally activated during your workout. Call 1-800-875-9145 to get on the move to a great cardio workout with the Spirit Elliptical Trainer XE795. Order you Spirit Elliptical Trainer XE795 from FitnessZone.com today! 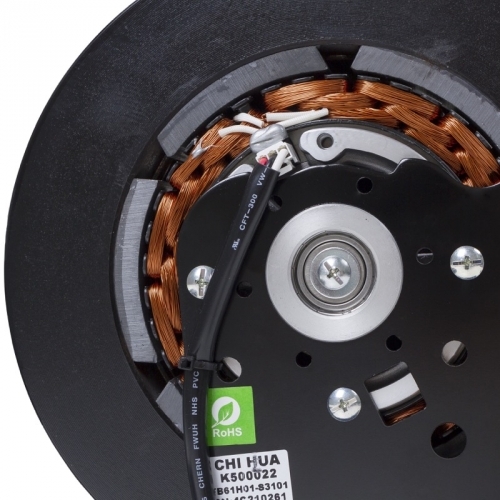 A turbo Cooling fan is standard on the XE795 elliptical. This may just be the reason individuals extend their workout by a few minutes. Order your Spirit Elliptical Trainer XE795 from FitnessZone.com today!